At last year's SCIPR, Chief Judge Diane Wood of the U.S. Court of Appeals for the Seventh Circuit delivered the keynote address in which she argued for the end of the Federal Circuit's exclusivity over patent appeals. (Watch video.) 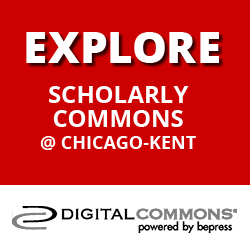 Judge Wood's address, which was widely reported in the national news, sparked a national debate over the Federal Circuit's role, and Chicago-Kent's Journal of Intellectual Property devoted a symposium issue to the debate. The 2014 conference also featured remarks from two of the parties involved in cases before the Supreme Court: Vernon Hugh Bowman, a 75-year-old farmer who took on Monsanto over patent exhaustion of genetically modified seed, and Dr. Harry Ostrer, who successfully challenged Myriad's isolated gene patents related to breast cancer testing. This year's conference, scheduled for September 12, 2014, promises to be the biggest and best yet. The Court has 10 IP cases this Term, a record for the Court. The docket includes six patent cases, two copyright cases and two Lanham Act cases. Paula Petrella, the daughter of the screenwriter for the movie "Raging Bull" (which is the subject of a case before the Court), is one of the featured speakers, along with leading Supreme Court litigators and prominent law professors. "We're lucky," Professor Edward Lee, the founder of SCIPR, admits. "When we started SCIPR in 2010, we couldn't have predicted the huge uptick in IP cases before the Court. The last decade from 2000 to 2009, the Court averaged fewer than two IP cases per year. This decade, the Court is averaging more than five IP cases per year. It's been very good for our conference." For more information about SCIPR, visit /scipr. The International Intellectual Property LLM Program at Chicago-Kent—the first of its kind in the United States—has grown steadily and is one of the most popular LLM degrees offered at the law school. Recent law graduates and practicing lawyers from many countries around the world have graduated from the program. Many go on to become successful attorneys specializing in intellectual property in their home countries. 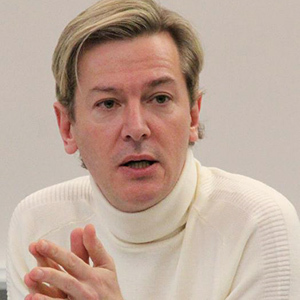 Professor Graeme Dinwoodie of Oxford University, who founded the degree program while at Chicago-Kent, participated in a Q&A interview about the program. Why did you decide to create an LLM focusing on international IP? Why not just a general IP LLM, given that most foreign students would probably be interested in studying U.S. IP law? Two different kinds of reasons: one philosophical and the other strategic. Philosophically, studying IP in an international context will increasingly be essential. Studying purely domestic concepts missed important parts of learning, and offers an incomplete sense of clients' IP needs in a practical context. For example, U.S. clients are the largest users of the European Union's CTM trademark system, but no domestic course would even alert students to this crucial regime. Strategically, there were so many LLM programs in IP in the United States that a particular focus allowed us to attract students who might have gone to schools that were nominally better ranked. And it took advantage of the strengths that that faculty already had in international and comparative law; I think we broadened the community of colleagues who engaged with IP because we framed our students' education in international terms. Amid the hysteria over "patent trolls," Professor David Schwartz has become a key figure in the national debate over proposed patent reform legislation. More formally known as patent assertion entities or non-practicing entities, patent trolls own patents without actually making the underlying inventions. Along with Professors Christopher Cotropia and Jay Kesan, Professor Schwartz debunked the assertion made in a June 2013 report by President Obama's Council of Economic Advisers that litigation by patent trolls "increased dramatically" from 2010 to 2012. The study by Professor Schwartz and his co-authors revealed that the putative explosion of patent troll litigation was not due to an increase in patent infringement claims against a greater number of defendants, but instead was due to a new procedural rule that prohibited joinder of unrelated patent defendants in the same lawsuit. Two former directors of the U.S. Patent and Trademark Office, David Kappos and Q. Todd Dickinson, favorably cited and quoted Professor Schwartz's study in hearings over patent reform legislation before Congress, where they expressed caution in the rush to change the patent system to deal with patent trolls. "I'm interested in the effects, if any, of non-practicing entities on the patent system," says Professor Schwartz. "We need better data and empirical work before we can reach an informed judgment on the issue. We also need greater transparency and researchers to share their data so that the analysis can be subject to peer review and others can build and expand upon the original research." 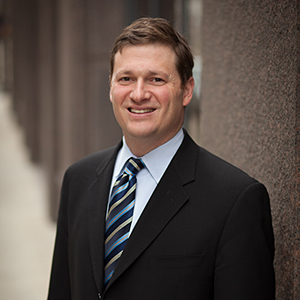 Professor Schwartz helped organize this year's Patent Wars conference, hosted by Chicago-Kent's Intellectual Property Law Society and the Chicago Bar Association. The conference explored the impact that patent trolls have had on the patent litigation landscape, as well as the potential impact of pending legislation directed at non-practicing entities on the future practice of patent law. The event drew more than 80 practitioners and students from the Chicago area. 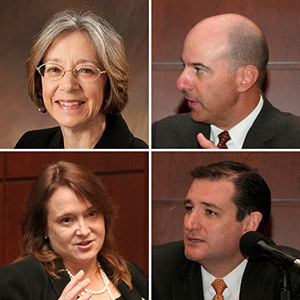 Professor Schwartz was also invited to debate the patent troll controversy at PatCon4, the largest patent scholarship conference in the country. He teamed up with Professor John Duffy of the University of Virginia School of Law in a spirited debate against Professors Mark Lemley of Stanford Law School and Michael Meurer of Boston University School of Law. 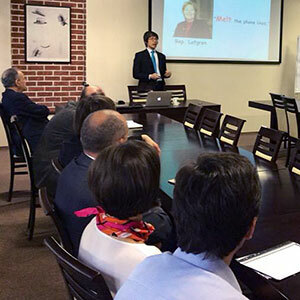 After giving talks in the United States about his book The Fight for the Future, Professor Edward Lee took his message to Europe. Professor Lee's book, which chronicles the fight for Internet freedom during the mass protests against the Stop Online Piracy Act (SOPA) and Anti-Counterfeiting Trade Agreement (ACTA) in 2012, drew strong interest in Europe, where many of the protests occurred. During a three-week stint, Professor Lee gave eight book talks in seven cities in three different countries in Europe, all while teaching two classes back in Chicago. The attendance at each event was strong, with the greatest turnout in Gdańsk, Poland, where nearly 100 people came to hear him speak. In total, he gave more than 25 book talks in the United States and Europe. "Everyone has a view about Internet freedom, that is for sure," Professor Lee explains. "People in Europe have some of the same questions as people in the United States. Whether in Europe or the United States, people want to know: Where do we go from here? The protests are over. How can we fight to protect Internet freedoms? People also have a keen interest in the controversy over NSA surveillance. After the revelations about the NSA's eavesdropping on Chancellor Merkel, my talks in Germany were, let's just say, very interesting." Professor Lee's next book will analyze the ongoing movement to fight for Internet freedoms. He also plans to start an initiative to track legal efforts and bills to protect Internet freedoms in various countries around the world. Chicago-Kent's Journal of Intellectual Property has a fresh new look to match its ambitious plans for expansion in the future. From expanding the editorial staff to redesigning the cover and the website, the journal is on track to raise its profile in IP scholarship. Under the leadership of Editor-in-Chief Leah Eubanks, the Journal of Intellectual Property dramatically increased the number of its student editors. The number of students on the executive board increased to 11 from last year's nine, while the number of associate editors increased from zero to 24 members. Having a larger staff enabled the journal to publish more articles than ever before—a trajectory the journal plans to continue in the future. A highlight of this year was the symposium in response to Chief Judge Diane Wood's keynote address at the Chicago-Kent Supreme Court IP Review, Is It Time to Abolish the Federal Circuit's Exclusive Jurisdiction in Patent Cases? Judge Wood's address, which was published by the journal, drew national media attention, including an article in the Washington Post, and sparked a national debate over reforming the Federal Circuit. Symposium participants included Chief Judge Alex Kozinski of the U.S. Court of Appeals for the Ninth Circuit, Dan Mandell of Mishcon de Reya New York LLP, Professor Rochelle Dreyfuss of New York University, Professor Paul Gugliuzza of Boston University, Professor Arti Rai of Duke University, and Hal Wegner of Foley & Lardner LLP. With the help of the law school's Library Technology Group, the journal designed and launched its new website, which now includes a blog, an author spotlight, and an archive of all its past issues. The goal was to create a professional, modern website to increase web traffic and increase the exposure and reputation of the journal. The print cover of the journal also got a fresh, albeit more traditional, look. When asked about her favorite part of being editor-in-chief, Eubanks said, "I really enjoy the opportunity to work with authors of all levels. The veteran authors propose some very interesting and innovative changes or ideas about the future that I enjoy reading, and the student authors are so grateful to get their first publication that they welcome all guidance and suggestions about how to improve or strengthen their arguments. Really, the thing I like most is holding the finished copy in my hands, seeing how polished and professional it looks, and knowing how much hard work we all put in to making it happen." 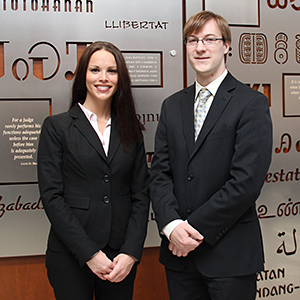 The Chicago-Kent team of Sarah Aagaard and Ben Boroughf won best brief and took first place overall in the regional tournament of the 23rd annual Saul Lefkowitz Moot Court Competition, sponsored by the International Trademark Association. Competition at the Chicago regional was strong. Sixteen teams from law schools in more than nine states participated, including the University of Iowa and Northwestern University. Aagaard and Boroughf advanced to the national finals, held March 15 at the U.S. Court of Appeals for the Federal Circuit, where they finished fourth overall. Chicago-Kent alumna and adjunct trademark professor Ashly Boesche '04 coached Aagaard and Boroughf and another Chicago-Kent team and put in countless hours in getting them ready. "Any client would be well-served by hiring either Sarah or Ben to represent them in any type of case. I'm sure of that," Boesche remarked. Aagard and Boroughf explained the most rewarding part of the whole experience: "Participating in the moot court competition has been a great experience. Classes can only prepare you for so much. Standing in front of a panel of three judges to converse with them about why your position should prevail gives a completely different perspective from simply reading cases in class. What we have enjoyed the most is the interaction with the judges during oral arguments and that nervous feeling of 'have I prepared enough?'" 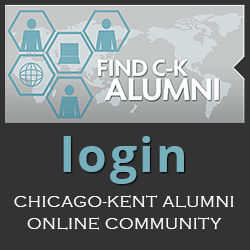 IIT Chicago-Kent's Center for Access to Justice & Technology is a leader in building knowledge tools for lawyers and using them for low- and moderate-income people. The center is the brainchild of Professor Ronald Staudt, who has been developing innovative ways to teach and provide access to the law throughout his 35-year career. As the financial crisis of 2008 has fundamentally transformed the practice of law, Professor Staudt's belief in making the legal system more efficient and accessible to the public through technology has garnered widespread attention. 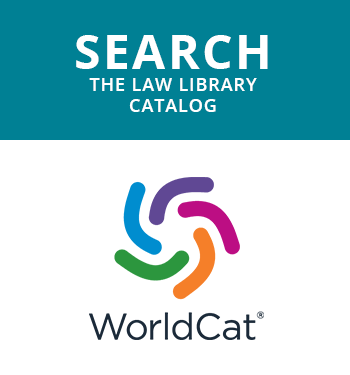 More than 2 million unrepresented litigants have used software that Professor Staudt has been developing since 1999 in partnership with John Mayer and his team of developers at CALI, the Center for Computer-Assisted Legal Instruction. That software is A2J Author—short for Access to Justice Author—and it is on its way to revolutionizing the way that certain legal documents are created. According to the traditional model, lawyers interview clients and complete legal forms such as divorce complaints to reflect their answers. A2J Author replaces the in-person interview with a computer-aided interview during which clients are guided through a series of user-friendly questions. Developed by lawyers and law students, each set of questions is intended to generate a particular document for the client to use in legal proceedings. The response to the technology, which has only recently become widely available, has been overwhelmingly positive. By last summer, an A2J Author–guided interview had helped Arkansas residents complete almost 5,000 divorce complaints. Meanwhile, in New York, more than 9,000 clients used an A2J Author–guided interview to draft petitions to modify child support payments. Now, the software is being used to generate legal documents in almost every state. As Professor Staudt explains, "Justice customers love it. It's easy to use and delivers 'just in time' instruction along with the documents needed for a wide variety of simple legal processes." For some time, Chicago-Kent students taking Professor Staudt's popular Justice & Technology Practicum were the only law students in the nation trained to use A2J Author. This fall, other students will have the chance to learn the software when curriculums based on A2J Author and other tech-based platforms will be offered at six law schools around the country, courtesy of a partnership between Professor Staudt, Chicago-Kent and CALI. Professor Staudt will also be rolling out a new class at Chicago-Kent called Practice and Professionalism, which will address the intersection of technology, new forms of delivery of legal services, and legal ethics. Following a series of presentations around the country this school year, including at CodeX at Stanford Law School in May, Professor Staudt will give the opening plenary address at the AALS Midwest Clinical Education Conference at Michigan State Law School in September 2014. Professor Staudt explains that all of his endeavors have a common goal: "to continue challenging the legal profession and law schools to provide affordable legal services, and to meet our ethical obligation to provide access to justice to all in need." —from Christopher Buccafusco & Jonathan Masur, Innovation and Incarceration: An Economic Analysis of Criminal Intellectual Property Law, ___ Southern California Law Review ___ (forthcoming 2014).